"EMC will be uniquely positioned as a single source for our customers’ entire hybrid cloud infrastructure and services needs." EMC has upped the ante in its aggressive march to the Cloud, entering into a definitive agreement to acquire privately-held Cloud software vendor Virtustream, for an agreed $US1.2 billion. When the transaction closes, Virtustream will form EMC’s new managed Cloud services business, representing a “transformational element” of EMC’s strategy to help customers move all applications to cloud-based IT environments. With the addition of Virtustream, EMC claims to now provide industry’s “most comprehensive hybrid cloud portfolio” to support all applications, all workloads and all cloud models. 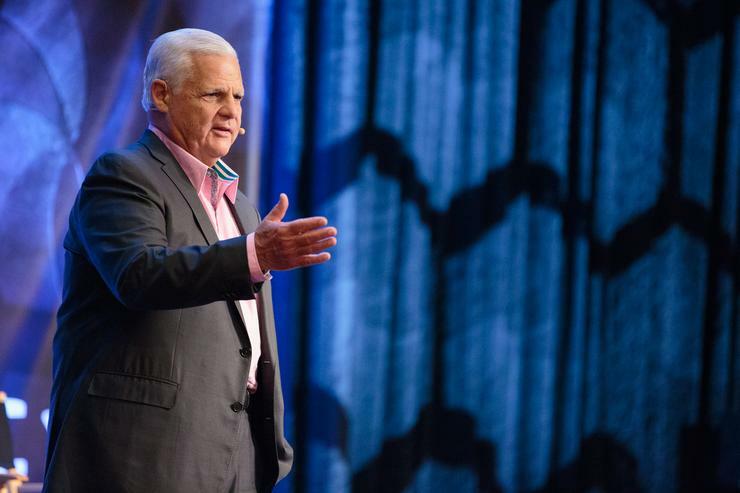 “Virtustream is an exceptional company and this is a critical and transformative acquisition for EMC in one of the industry’s fastest-growing and most important sectors,” says Joe Tucci, Chairman and CEO, EMC. “With Virtustream in place, EMC will be uniquely positioned as a single source for our customers’ entire hybrid Cloud infrastructure and services needs. Terms of the deal will see Virtustream CEO, Rodney Rogers, will report to Tucci, with the all-cash transaction expected to close in the third quarter of 2015, subject to customary closing conditions. Widely regarded as one of the world’s fastest-rising cloud software and services companies, Virtustream is adopted by enterprises worldwide to migrate, run and manage mission-critical applications in the Cloud, including SAP. Virtustream customers include marquis enterprises such as The Coca-Cola Company, Domino Sugar, Heinz, Hess Corporation, Kawasaki, Lexmark, Scotts Miracle-Gro and a global footprint of service provider partners who use Virtustream software to power their Cloud offerings. “Virtustream has established itself as an industry leader and innovator for running mission-critical enterprise applications in the Cloud,” Rogers explains. Rogers says Virtustream’s Cloud software and Infrastructure-as-a-Service portfolio will be delivered directly to customers and through partners. Going forward, EMC Federation service provider partners will receive access to Virtustream’s xStream Cloud management software platform and be enabled to adopt and deliver their own branded services based upon it. “As IT organisations race to keep pace with the demands of the modern and rapidly changing business, they need to leverage both private and public Clouds,” adds David Goulden, CEO, EMC Information Infrastructure. “The EMC Federation Enterprise Hybrid Cloud Solution enables customers to deploy rapidly a hybrid Cloud that incorporates the best of both. Presently EMC provides the Federation Enterprise Hybrid Cloud Solution - an on-premise private cloud offering that provides on-ramps to public Cloud services such as VMware vCloud Air. Virtustream brings to the EMC portfolio a managed Cloud software and services capability - whether on or off premise - which EMC also intends to incorporate into the Federation Enterprise Hybrid Cloud Solution. With the addition of Virtustream, EMC will enable customers to move their entire application portfolio into a Cloud environment. “This acquisition is great news for our customers, VMware and the EMC Federation of businesses,” adds Pat Gelsinger, CEO, VMware. “With the addition of Virtustream, we will be able to offer customers a comprehensive set of hybrid Cloud offerings, including private, managed and public Cloud solutions. Founded in 2009 by Rogers and president and CTO Kevin Reid, Virtustream delivers application lifecycle automation and orchestration with a particular focus on I/O-intensive mission-critical enterprise applications such as SAP S/4HANA and others. Virtustream’s xStream platform is tightly integrated with VMware vSphere and architected to deliver service level agreements (SLAs) for not only infrastructure availability, but for application performance and transaction latency as well. Virtustream’s rapid rise to premier Cloud provider status is evidenced by Forrester ranking Virtustream as one of only two “Leaders” in the hosted private cloud solutions market. Gartner has also recognised Virtustream in the Gartner Magic Quadrant for Cloud Infrastructure as a Service - one of the few independent companies to reach this status worldwide in public Cloud IaaS. “SAP has a long-term partnership with Virtustream to host mission-critical applications in the Cloud,” adds Bill McDermott, CEO, SAP.